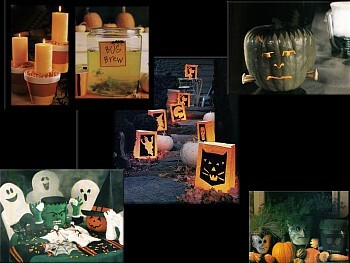 Sixteen slides with several images of crafts and ideas for Halloween parties and decorations, all from Woman's Day Halloween Celebrations and Martha Stewart Living magazine. Download Free Wallpaper from this screensaver! This screensaver fits any size window settings. Music is suitable for Halloween and may be turned off. Screensaver copyright, ART-TLC ©.